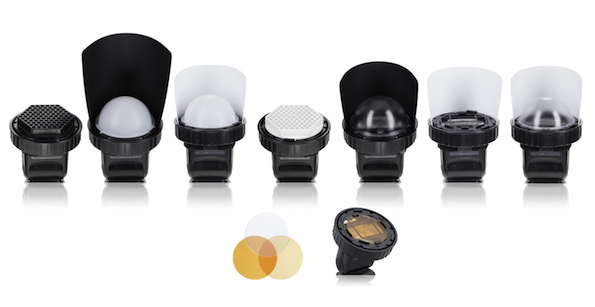 The SpinLight 360® Modular System is a one-stop solution for controlling your flash light, both on-camera and off. The SpinLight 360® is an extremely versatile system, unlike anything else, and gives you many ways with which you can gobo your light or achieve a bounce flash to get studio quality lighting anywhere you are. By rotating the bounce cards a full 360º, instantly and easily change the direction or ratio of light and shadows on your subject to create three-dimensional looks. You can also, quickly and easily add or change modifiers, with a wide variety to choose from such as Grids, Snoots, a Clear Dome, a White Dome, a Half-Dome and Gels. The SpinLight 360® is Made In The USA. with our video and written instructions. See some of our most frequently asked questions and answers.